Voters in Maine, Nevada, North Dakota, South Carolina and Virginia head to the polls Tuesday as the 2018 primary season continues its steady march toward the first major election since the election of President Donald Trump. Twenty-five U.S. House seats, four U.S. Senate seats and three governor's seats are at stake in the states holding primaries Tuesday, and Democrats are eyeing a number of purple districts in Virginia as they look to map out their path to retaking the lower chamber in November. 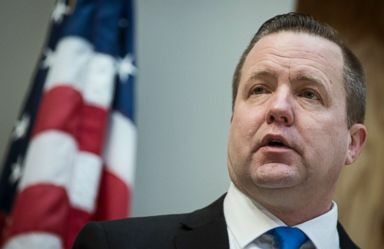 The Commonwealth of Virginia is also playing host to a nasty GOP primary for the U.S. Senate, largely revolving around loyalty to President Donald Trump, a theme that continues to resurface throughout the primary season in a bevy of Republican races across the country. Eight female candidates have already emerged victorious in governors races in the 15 states that have held gubernatorial primaries so far this year, a tally that is likely to rise Tuesday. Female gubernatorial candidates in Maine, Nevada and South Carolina are hoping to continue the success women are seeing on the ballot across the country. Sen. Heidi Heitkamp talks with reporters on Capitol Hill in Washington, D.C., Jan. 22, 2018. 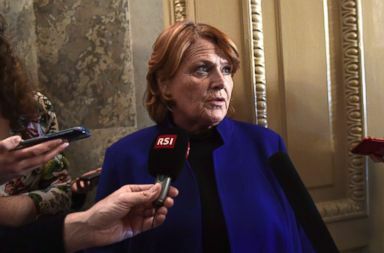 Republicans are eyeing North Dakota, one of ten states the Trump won in the 2016 election with an incumbent Democratic senator, as a top pickup opportunity with Sen. Heidi Heitkamp up for re-election. Democrats are countering by targeting Nevada, the lone state in the nation with a GOP incumbent in a state Hillary Clinton won in 2016, Sen. Dean Heller. Here's a look at the key storylines and races to watch Tuesday. Democratic Sen. Tim Kaine, less than two years removed from an unsuccessful stint as the party's vice presidential candidate, is in a strong position for re-election to the U.S. Senate in 2018. With over $10 million in his campaign war chest, the former Virginia governor and Democratic National Committee (DNC) Chairman will undoubtedly be a tough out for Republicans looking to hold on to their Senate majority. The real race to watch Tuesday will be the GOP primary to decide who takes on Kaine in November. The Republican race has, like a number of other GOP primaries this cycle, largely centered on which candidate can trumpet the Trump agenda the loudest. Check out my TV ad. I've cut taxes & always stood with @realDonaldTrump. We're being attacked by pro-amnesty anti-Trump PACs that are now supporting my opponent. They want to stop us b/c we support @realDonaldTrump & will fight illegal immigration. Weak border enforcement and policies like DACA have left Americans, legal immigrants, and children at the border vulnerable to crime and injustice. Prince William County Board of Supervisors Chairman Corey Stewart came within 4,300 votes of being the Republican nominee for Virginia governor in 2017 and is sparring with state delegate Nick Freitas and minister E.W. Jackson for the right to take on Kaine in November. Chairman of Prince William County Board, Corey Stewart, talks about his platform to fix America's illegal alien, Jan. 18, 2018 in Woodbridge, Va.
Freitas has lobbed attacks in recent days over Stewart's penchant for controversial comments and associations, running a campaign ad accusing him of "horrible judgement" and writing in a fundraising e-mail to supporters: "If we are to continue our party's legacy, we must reject Corey Stewart's dog-whistling of White supremacists, anti-Semites, and racists." John Whitbeck, chairman of the Virginia Republican Party, came to Stewart's defense last week, hoping to divert attention back to the GOP's hopes of defeating Kaine. "Over the years there have been times where Corey Stewart and I have had our differences, but this is not such an instance - we both condemned the violence in Charlottesville and the groups behind it," Whitbeck wrote in a statement released by the Virginia GOP last week, "All three Republican candidates running for U.S. Senate would be a vast improvement over Tim Kaine. It is my sincere hope that the race will once again focus on the issues." Stretching from the Washington, D.C., suburbs to West Virginia, Virginia's 10th Congressional District is the only battleground House race in the capital area. 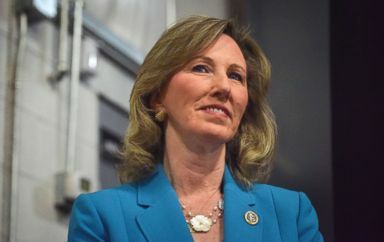 Six Democrats are competing to take on Rep. Barbara Comstock, R-Va., a political survivor who hung on to her seat in 2016 despite Hillary Clinton's win in her district. State Sen. Jennifer Wexton, former Obama administration officials Alison Friedman and Lindsey Davis Stover, and West Point graduate and Rhodes Scholar Dan Helmer. are considered front-runners in the race, and nearly have raised enough money to run television ads in the expensive Washington D.C. media market. Julia Biggins, an infectious disease scientist endorsed by progressive group Our Revolution, and former prosecutor Paul Pelletier round out the Democratic slate. Rep. Barbara Comstock attends a rally, Oct. 30, 2017, in Sterling, Va.
National Democrats observing the race expect Wexton, who has been endorsed by Gov. Ralph Northam. D-Va., the Washington Post editorial board, and several Virginia House Democrats, to win on Tuesday. She's been criticized by her opponents for supporting a 2016 gun law compromise, but has defended her record in Richmond and promised to work across the aisle in Congress on issues like infrastructure and combating the opioid crisis. Comstock faces nominal opposition in the GOP primary from retired Air Force pilot Shak Hill, who unsuccessfully ran for the GOP nomination for Senate four years ago. He's closely aligned himself with conservative activists and accused Comstock, who called on Trump to drop out of the 2016 presidential race after the release of the "Access Hollywood" tape, of being a being a "Never Trumper." But Comstock, who according to FiveThirtyEight has voted with President Trump 97 percent of the time, has deep ties to Washington's GOP establishment after a career in the Bush administration and on Capitol Hill - where she worked on the House Oversight Committee's Clinton investigations with David Bossie, who served as Trump's deputy campaign manager in 2016. (Bossie has endorsed her campaign.) Vice President Mike Pence also recently recorded a robocall on Comstock's behalf ahead of the primary, according to her campaign. Two top races to watch Tuesday feature two Republicans who each had their moment in the national spotlight in recent years. Mark Sanford is no stranger to unique political challenges, and this year is no different. 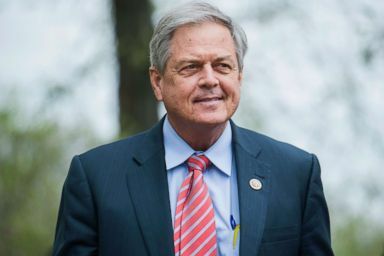 The former South Carolina governor weathered a scandal surrounding his infamous extramarital affair and eventually found his way back to Congress in 2011 after winning a special election. Now Sanford faces a primary challenge from state Rep. Katie Arrington, who has sought to make the contest a referendum on Sanford's willingness to criticize President Trump. If neither candidate receives 50 percent or more of the vote, Arrington and Sanford will head to a runoff later this month. The potential runoff is a fate another Republican, Alabama Rep. Martha Roby, fell victim to last week in a primary that again hinged on her past criticism of President Trump. Thus far this cycle only one sitting House member has failed to advance to November: North Carolina Republican Rep. Robert Pittenger. Dave Brat, a former college economics professor, shocked the political world in 2014 when he unseated then-House Majority Leader Eric Cantor in this central Virginia district. Now Brat is a potential Democratic target in this central Virginia district that includes portions of the Richmond suburbs. The district voted for Donald Trump by 6.5 points in the 2016 election, but in 2017, Democrat Ralph Northam cut that margin to just 3.6 points on his way to winning the governor’s mansion. Brat’s potential Democratic opponents include former CIA officer Abigail Spanberger and U.S. Marine Corps and State Department veteran Dan Ward. Both Democrats’ fundraising totals have been about equal, but Spanberger has the backing of EMILY’s List, which has scored an impressive number of victories in other primaries so far this cycle. In 2016, voters approved a referendum to implement ranked-choice voting, a system in which voters can rank candidates and allow their vote to transfer to their second choice if their preferred candidate is eliminated. Amid constitutional concerns, the state delayed the system’s implementation, but voters will have the chance Tuesday to force the state to change its voting system. If voters approve the referendum and the system holds up in court, Maine will use ranked-choice voting for its November Congressional elections. Here are more key races and storylines to watch Tuesday. Maine Governor: In less than eight years as governor of Maine, Paul LePage has attracted more headlines than perhaps any leader in the Pine Tree State's history. LePage has feuded at times with the NAACP, state employee unions, local media and national politicians, and most infamously attracted controversy with a 2016 quote about out-of-state drug dealers who travel to Maine, claiming that "half the time they impregnate a young, white girl before they leave," leading to charges that the governor was "racist." The Republican former mayor of Waterville is term-limited out of office in 2019 and the race to replace him could become a referendum on which candidate is most willing to distance themselves from a man with one of the lowest gubernatorial approval ratings in the country. Democrats seeking to take back Blaine House, the Augusta governor's mansion, from LePage include state attorney general Janet Mills, former state representative Mark Eves, state senator Mark Dion, attorney Adam Cote and activist Betsy Sweet. The top names vying for the Republican nomination are businessman Shawn Moody, former state health and human services commissioner Mary Mayhew, state senator Garrett Mason and state representative Ken Fredette. The ranked-choice voting system gained particular support in Maine – a state in which independent candidates regularly perform well in general elections – after LePage was twice elected governor without a majority of the vote. Amid the uncertainty about the system's future, two candidates ultimately chose to embrace the electoral method. Last week, Eves and Sweet endorsed each other as second-choice candidates in order to potentially pool their supporters and secure the Democratic nomination for one of their campaigns. Maine 2nd Congressional District: Democrats have eyed this western Maine congressional seat currently held by Rep. Bruce Poliquin ever since the Republican was first elected to Congress in 2014. Poliquin voted for both a repeal of the Affordable Care Act and the Republican tax cut bill, and both figure to factor into Democrats attempt to unseat him once again. Donald Trump won the district by ten points in 2016, and with the victory earned one of the state’s electoral college votes. 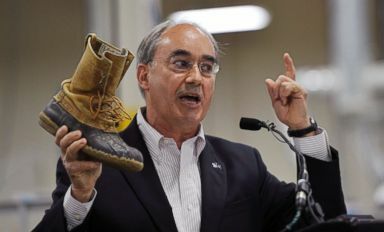 But the question for Poliquin now is whether the president’s popularity has waned at all in the district in the first years of his presidency. Rep. Bruce Poliquin shows of his thirty-year-old L.L. Bean boots during an event at the new production plant in Lewiston, Maine, August 17, 2017. Three Democrats are vying for the chance to take on Poliquin in November: state representative and U.S. Marine Corps veteran Jared Golden, small business owner Craig Olson, and a potential self-funder in businessman and conservationist Lucas St. Clair. Poliquin has defeated the same Democratic challenger in his previous two elections, state senator Emily Cain. 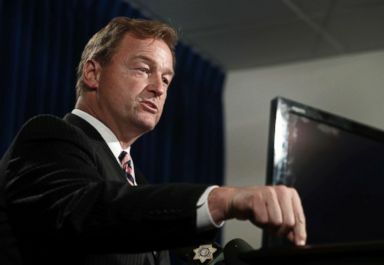 Nevada U.S. Senate: One of November’s marquee U.S. Senate races had its primary drama significantly ratcheted down with the exit of Danny Tarkanian, who was mounting a primary challenge to incumbent Dean Heller, the only sitting Republican Senator up for re-election in a state Hillary Clinton won in the 2016 election. Tarkanian’s exit from the race, a move made after the urging of President Trump, cleared Heller’s path to November, where he will likely take on Democratic Rep. Jacky Rosen. Rosen will be well-funded for the general election and has the backing of the Democratic Senatorial Campaign Committee (DSCC). Sen. Dean Heller speaks during a media briefing in Las Vegas, Oct. 4, 2017. Health care promises to be front and center in this race, and Heller’s public waffling over the Republican effort to repeal and replace the Affordable Care Act will likely be at the center of Rosen’s campaign against him. Nevada Governor: An outgoing Republican governor and Democratic victories in three straight presidential elections make this race one that is sure to attract plenty of national attention this cycle. Republican Brian Sandoval, the state's governor since 2011 and often speculated to be a future presidential contender, leaves office relatively popular, but Democrats are hoping their recent streak of success in Nevada will carry them to victory in 2018. The Democratic primary is between two members of the Clark County (Las Vegas area) Board of Commissioners: Chris Giunchigliani and Steve Sisolak. Sisolak has held a fundraising advantage over Giunchigliani according to state campaign finance records, but has burned through much of that cash in the primary, while the former Nevada Assemblywoman has the endorsement of EMILY's List and is running in year where female candidates are finding success across the country. Sisolak has staked out the centrist mantle, and has the backing of former Sen. Harry Reid's robust political machine, while Giunchigliani is running as an insurgent and unabashed progressive. Hillary Clinton recently waded into the race, recording a robocall for Giunchigliani, talking up her "many progressive accomplishments" in the state legislature. On the Republican side, Nevada Attorney General Adam Laxalt and State Treasurer Dan Schwartz are the leading candidates in a field of five that also includes three business owners. While both Laxalt the Schwartz benefit the name recognition that comes from having won statewide office before, Laxalt holds a significant fundraising advantage according to state filings. Nevada 3rd Congressional District: Incumbent Democratic Rep. Jacky Rosen is stepping away after just one term in order to challenge Sen. Dean Heller, leaving a vacancy in the district south of Las Vegas. Despite Rosen's win in 2016, President Trump won the district over Hillary Clinton by 1 point. Seven Democrats have qualified for the primary, but the party is rallying around Susie Lee, the former president of a statewide education advocacy organization, who has Rosen's endorsement, plus those of former Vice President Joe Biden, Sen. Catherine Cortez Masto, former Sen. Harry Reid, and Rep. Ruben Kihuen – to whom Lee finished two places behind in the 2016 Democratic primary in the state's 4th Congressional District. Top candidates in the crowded, nine-candidate Republican primary include state Sen. Scott Hammond, a former teacher; and Danny Tarkanian, an attorney and the son of legendary UNLV basketball coach Jerry Tarkanian, who originally planned to wage a primary challenge against Heller. Danny Tarkanian has launched several unsuccessful bids for office, most recently losing to Rosen in the 2016 3rd district general election by less than 4,000 votes. With nearly $1.5 million raised as of late May, Lee has a wide fundraising advantage on the field in both parties. Hammond, the second most prolific fundraiser in the district, has raised just over $260,000. Nevada 4th Congressional District: The 4th district has been won by a new candidate in every election since its creation less than a decade ago, swapping from Democrat to Republican and back to Democrat with no candidate winning by a margin larger than 8 points. The trend of two-year-at-a-time representatives will continue in 2018 with Rep. Ruben Kihuen electing to retire in the wake of sexual misconduct allegations. His predecessors, Republican former Rep. Cresent Hardy, who lost to Kihuen in 2016, and Democratic former Rep. Steven Horsford, who last to Hardy in 2014, are each candidate in their respective primaries. South Carolina Governor: The appointment of Nikki Haley to be the next U.S. Ambassador to the United Nations set off a mad scramble to be the next governor of South Carolina. Five Republicans and three Democrats are battling for nominations Tuesday, but whoever emerges on the GOP side becomes an immediate favorite in a state Donald Trump won by 14 points in the 2016 election. Lt. Gov. of South Carolina, Henry McMaster speaks at the Republican National Convention, July 19, 2016, in Cleveland, Ohio. Incumbent Gov. 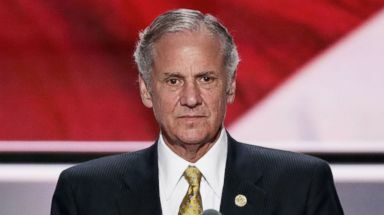 Henry McMaster, who is quick to remind voters that he has the endorsement of President Trump, will likely move to a runoff election in late June, and is facing a field of established challengers in the Republican primary. Trump reiterated his support for McMaster on Twitter last week, yet another example of his willingness to wade into a contentious midterm battle. Lt. Gov. Kevin Bryant, former Democratic Lt. Gov. Yancey McGill, former Director of the South Carolina Department of Health and Environmental Control Catherine Templeton, and businessman John Warren are all vying to unseat McMaster. 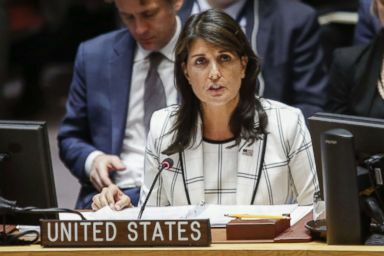 United States Ambassador to the United Nations Nikki Haley attends a UN Security Council session, May 30, 2018, at United Nations headquarters in New York. The Democratic side features state representative James Smith, who has the backing of former Vice President Joe Biden and longtime U.S. Rep. James Clyburn, attorney Marguerite Willis, and consultant Phil Noble. South Carolina 5th Congressional District: What was expected to be a sleepy 2017 special election to replace Mick Mulvaney, who resigned to become OMB Director, almost became a major upset when unknown attorney and Democrat Archie Parnell nearly beat Republican Ralph Norman in this deep red district. Rep. Ralph Norman leavesthe GOP Conference at the Capitol Hill Club, April 17, 2018. Norman also put himself at the center of controversy this year after pulling out a loaded gun at a constituent meeting during a conversation about gun control. The move shocked many in attendance, but Norman did not apologize, saying “I’m not going to be Gabby Giffords,” referring to the Arizona congresswoman who was shot and nearly killed in 2011 at a similar event with constituents. North Dakota Senate: Incumbent Sen. Heidi Heitkamp, D-N.D. is facing a tough reelection battle for a seat she won by fewer than 3,000 votes in 2012. Heitkamp is running unopposed in Tuesday’s Democratic primary, but will likely face the state’s at-large Rep. Kevin Cramer, R-N.D., who decided to run for the U.S. Senate at President Trump’s request. Both candidates have been attempting to publicly cozy up to the president, who won North Dakota by 35 points in 2016. Heitkamp voted to confirm several of President Trump’s key nominees and worked with the White House on banking regulations while Cramer has consistently backed Trump’s legislative agenda in Congress. The election looks to be a toss-up, with both candidates maintaining high name recognition and relative popularity. North Dakota Secretary of State: Six-term incumbent Republican Al Jaeger dropped his re-election bid in April after losing the party’s endorsement to businessman Will Gardner. Gardner, however, withdrew after news of Gardner’s 2006 arrest for an alleged “peeping tom” incident. Gardner will remain on the ballot in Tuesday’s primary is expected to decline the nomination. Jaeger has since re-entered the race and will be running as an independent. Jaeger will face a potentially difficult November re-election bid against Democratic State Rep. Josh Boschee, known in state political circles as a strong fundraiser. The election also may affect the state’s interpretation of a controversial voter ID law currently being litigated in court over its impact on Native Americans. Virginia 2nd Congressional District: Hillary Clinton narrowly lost this Virginia Beach-based district in the 2016 election, but it swung to Democrat Ralph Northam in the 2017 gubernatorial race, and Democrats are eyeing the seat as one of their best pickup chances in the state this cycle. But despite the enthusiasm, incumbent GOP Rep. Scott Taylor, a former Navy SEAL, promises to be a tough out this cycle. Democrats have coalesced around business owner and retired Navy commander Elaine Luria, a member of the Democratic Congressional Campaign Committee’s (DCCC) “Red to Blue” program for top-tier candidates. 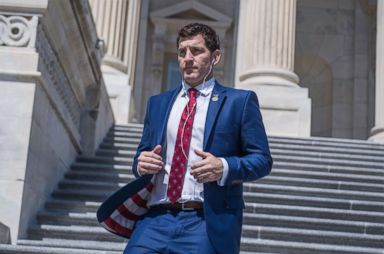 Rep. Scott Taylor leaves the Capitol, May 24, 2018, in Washington, D.C.
Virginia 5th Congressional District: The race in Virginia’s 5th Congressional District was upended last month when incumbent GOP Rep. Tom Garrett chose to withdraw as the party’s nominee, revealing he is battling alcoholism. Democrats already chose filmmaker and activist Leslie Cockburn (the mother of actress Olivia Wilde) as their nominee in this sprawling district that stretches from the exurbs of D.C. in the north to the Virginia-North Carolina border to the south. With Garrett’s exit, the Republican district committee picked distillery owner Denver Riggleman as the nominee to take on Cockburn. Despite the drama surrounding Garrett’s exit, Cockburn faces a tough task in flipping this reddish-tinted seat. The 5th district backed Donald Trump by 11 points in the 2016 election, and GOP gubernatorial candidate Ed Gillespie by nine points in 2017. ABC News' Roey Hadar contributed to this story.